Pope Francis, the end of a world? 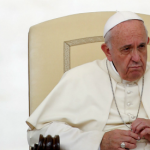 Pope Francis, what is his diplomatic line? An external observer can have two impressions about Pope Francis’ reform. The first impression is that a blueprint is missing — that is, in the end, the nature of the “reform made by walking” which Pope Francis conceived and Bishop Marcello Semeraro, secretary of the Council of Cardinals, explained in two articles on the reform. The second impression is that Pope Francis is speeding up his actions at the eve of the sixth year of his Pontificate. The schedule of Papal trips has never been so tight: the Pope will go in short order to Panama, the United Arab Emirates, Morocco, Bulgaria, Macedonia and Romania. Amidst these trips, there is the Feb. 21 – 24 meeting in the Vatican on the protection of minors, that will be followed by another meeting of the Council of Cardinals and likely by a meeting of the Pontifical Commission for the Protection of Minors, following another rationale of Pope Francis, that of the Church in a State of Permanent Synod. Based on this schedule, there is speculation that the reform can be finally carried out between April and June, at the beginning of the sixth year of his pontificate. In that moment, some terms will expire and at the same time Praedicate Evangelium will be ready, redesigning the Curia offices. What will the Curia look like? There are new dicasteries, and many other dicasteries merged with them. There is also a key dicastery, the Pontifical Council for Interreligious Dialogue, that still has no president, follow Cardinal Jean Louis Tauran’s death in July 2018. And Cardinal Tauran left another vacancy: the position of Camerlengo. The Camerlengo is the head of the Apostolic Camera, the body that administers the Church’s patrimony during the sede vacante. The Camera was established in the 11th century, and the official leading the office was also the person responsible for the finances of the Church. After the Pontifical State fell, the Camera Apostolica lost its prerogatives. However, at the beginning of the 1900s, the body reacquired the responsibility of managing the patrimony of the Church during the sede vacante. With the Apostolic Letter Pontificalis domus, St. Paul VI reformed the Pontifical Court, renamed as the Pontifical Household, and abolished some of the positions of the Camera Apostolica. At the moment, the Apostolic Camera is made of seven people: the Camerlengo, the vice Camerlengo, the general auditor and several prelates. Pastor Bonus will change, and it is rumored that the Prefecture for the Pontifical Household will cease to exist. Its functions will be partially absorbed by the Secretariat of State, partially by the Office for the Pontifical Liturgical Celebrations – for example, the Musical Pontifical Chapel was included in the administration of the Office for the Pontifical Liturgical Celebrations, with a Pope Francis’ motu proprio issued Jan. 19. Other functions will simply be abolished. It is also rumored that even the Apostolic Camera will be abolished. As in the case of the alleged abolition of the Prefecture for the Pontifical Household, such decision will abolish with the stroke of a pen some 1800 years of history. Likewise, the decision would also do away with some symbols that are part of the Church’s history and have a specific meaning. Above all, without the Apostolic Camera, there would be no body governing the transition from one pontificate to another. What institution would take over this task? It seems that the Secretariat of State will be called to lead the transition. The following is pure speculation and gossip, and must be understood as such. One of the theories floating around is that the renewed centrality of the Secretariat of State is part of a new management of the Curia balances. Pope Francis’ pontificate was often described as a “double-faceted government,” with the Pope making decisions and the Secretariat of State drafting documents to regularize issues. Despite this, there had always been one issue open: whether the Secretariat of State should keep control over informing the public and so of the Holy See Press Office (as established in Pastor Bonus), or should this responsibility be totally assumed by the Dicastery for Communication. During the “reform in the walking,” the Dicastery for Communication (originally Secretariat) included among its offices the Holy See Press Office. This generated a sort of “dualism” between the Dicastery and the Secretariat of State, since this latter kept on controlling the flow of information coming from the Apostolic Palace. The new course of the Dicastery for Communication, started with the appointment of Paolo Rufini as Prefect, in some ways gave more centrality to the dicastery. It was Ruffini who held the Synod’s daily briefings with journalists. It was Ruffini who was included in the Synod’s commission for information, and not the director of the Holy See Press Office, which out of the commission. In the past, secretary of the Commission had always been the director of the Holy See Press Office. It was Ruffini to present in the Press Office two documents on Pope Francis’ magisterium on human trafficking. In the meantime, the Secretariat of State changed composition. The appointment of the new deputy, archbishop Edgar Pena Parra, finalized the “franciscanization” of the top rank appointments – the only man of the old guard is Msgr. Antoine Camilleri, vice- secretary for Relations with States. In the end, it was normal there was a change of the guard, as became evident with the resignation of Holy See Press Office director and deputy director Greg Burke and Paloma Garcia Ovejero. It was also normal that people from the inside had to be called to carry on the reform, since they know the Vatican and they are able to work with the institution. This is the rationale behind the appointment of Alessandro Gisotti as interim director of the Holy See Press Office, as well as the pick of the “new team” to support the director, from senior advisor Romilda Ferrauto to Vatican veteran Taddeus Jones, and including the assistants Raul Cabrera and Sister Bernadette Reis. All of these people were schooled at Vatican Radio, and know the Vatican. In addition to that, Fr. Federico Lombardi, for a long time director of the Holy See Press Office, was given the responsibility to moderate the next, crucial meeting on the protection of minors. These picks from the inside are also likely intended to balance the appointments of Andrea Tornielli as editorial director of the Dicastery for Communication and of Andrea Monda as editor of L’Osservatore Romano. These decisions were made very quickly, and this is striking. As is the fact that those decisions had not been made much earlier. What was blocking the reform? It is striking – though now typical in Pope Francis’ pontificate – the passage from the external consultants to internal staff, which already took place when the Pope dissolved the Pontifical Commissions for Reference on the IOR and on the Holy See administrations. Why is this happening? Why was the dicastery for communication able to carry out something after months on halt? The rationale can be only speculative. It can be said: the Dicastery for Communication was able to overcome the dualism with the Secretariat of State, because the Secretariat of State is gaining more centrality. If, beyond the functions of the Prefecture of the Pontifical Household, the Secretariat of State take those of the Apostolic Camera, the Secretariat of State would be controlling the whole life of the Holy See. Perhaps, this was also a matter of discussion in the meetings between Pope Francis, Cardinal Parolin, archbishops Gallagher and Pena Parra, and Cardinal Bertello, number 1 of the Vatican City State Administration. One of those meetings took place Jan. 4, as part of a regular schedule. However, it was announced for the first time. If the Secretariat of State would assume the functions of the Apostolic Camera, it would then govern the transition of pontificates, perhaps assisted by other members like those of the Council of Cardinals, that is said to become a permanent body of the Curia. These are all speculations, although they seem to coincide with some of Pope Francis’ ideas. If all of these speculations were true, it could not be denied that these decisions are characterized by worldliness. Taking out ancient structures does not merely mean abolishing a court. It means creating new structures, or strengthening the existing ones. These decisions would lead to the loss of symbols codified through the centuries, replacing them with new structures, perhaps more effective, but also lacking that history and religiosity that made the Holy See unique. The risk lies the Holy See becoming a State like any other; and that Curia positions, all with a five-year term, will lack a vision. A narrative reduced to the “here and now” will lose sight of the he history of the Church. This is the reason why Pope Francis’ reforms are not final yet. They may never be.